Graveside services for Charles W. “Jesse” James will be 11:00 AM, Wednesday, March 20, 2019 at Riverside Cemetery in Painesville, OH. Jesse was born May 9, 1931 in Dunbar, Pennsylvania to William R. and Emma (Hennessey) James. 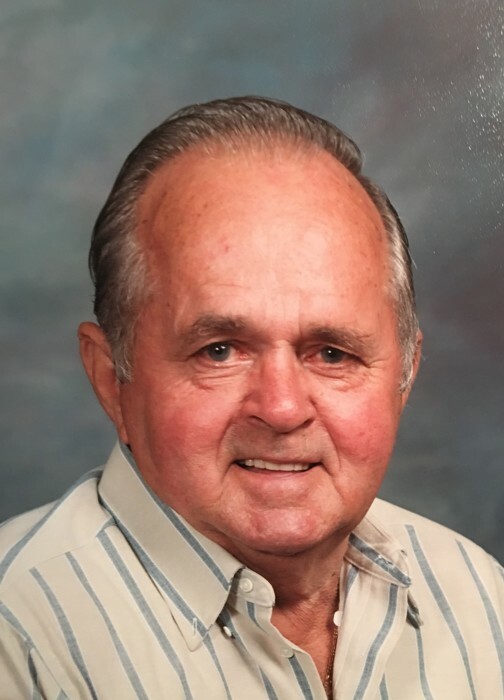 He passed away peacefully in his sleep on March 17, 2019 at Ames Family Hospice House in Westlake, OH. Jesse was a graduate of Dunbar Township High School in Pennsylvania. He then served in the U. S. Army during the Korean War. He married the love of his life, Eleanor on 9/30/1961. He was an owner/operator of ABC Driveway Company for over 30 years. He enjoyed spending the winter months in Florida. Jesse was a team backer and instrumental in the Painesville Men’s Slow Pitch league. He also enjoyed racing, restoring old cars and working on anything with a motor. Jesse knew no strangers and had many friends. He especially enjoyed spending time with his grandson, Aaron. Jesse is survived by his daughter, Lisa E. James-Adams of Painesville; grandson, Aaron J. Adams; brothers, Robert (Wanita) James of Perry and Howard (Theresa) James of Concord Township; caretaker, Karen Wallace; his longtime friend and buddy, Thomas J. Hervey; and also his dog, Bentley. He was preceded in death by his wife, Eleanor Jean “Ellie” James in June of 2017; his parents; brothers, Ernest (Lorrell) James and John C. (JC) James; sisters, Eleanor Shipley-Petko, Shirley Wallace, and Betty King. Donations can be made to the family or a charity of your choice.